A public footpath runs across the River Derwent viaduct and through the station site as part of the Sustrans cycle network. The station site itself is now a small park and children's play area. 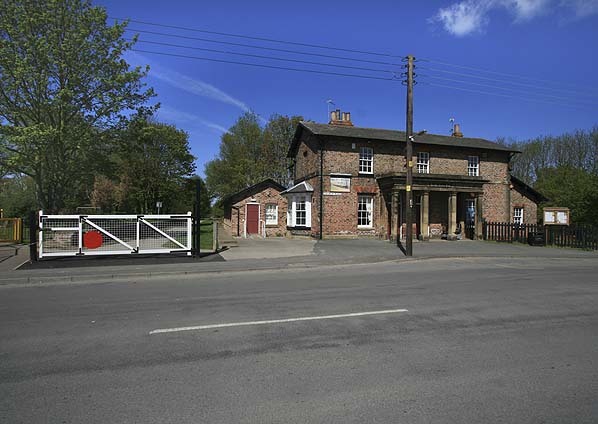 The station house, now extended to the rear, is owned by the council and is used as a club house (known as The Old Station Club) with a function room available for hire. The overhanging roof and canopy supported on iron columns has been removed and replaced with a new building almost to the edge of the platform. The front of the main building, with its portico facing onto Church Road, is largely unaltered. Both platforms are intact although the down platform has been lowered at its east end in front of the station building. 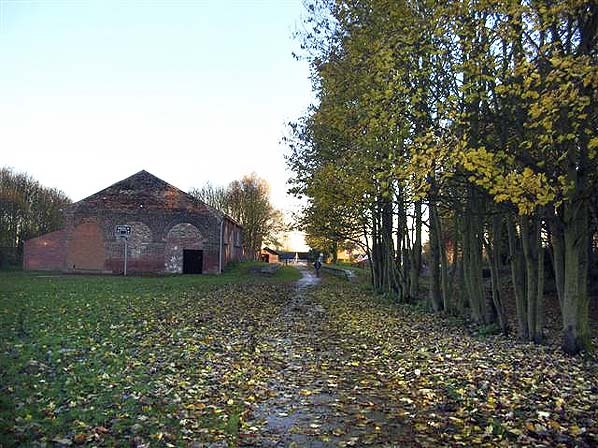 The cattle dock, west of the up platform, is extant as is the large brick goods shed which is now used as a sports hall. A single reproduction level crossing gate has been fitted across the track at the east end of the station. Notes: When the York - Market Weighton line opened on 4th October 1847 Stamford Bridge was the only intermediate station shown in timetables. Although other stations may have been open at this time they did not appear in timetables until May or June 1848. Stamford Bridge was one of the larger stations on the line. It was sited immediately west of the Church Road level crossing and had two facing platforms. 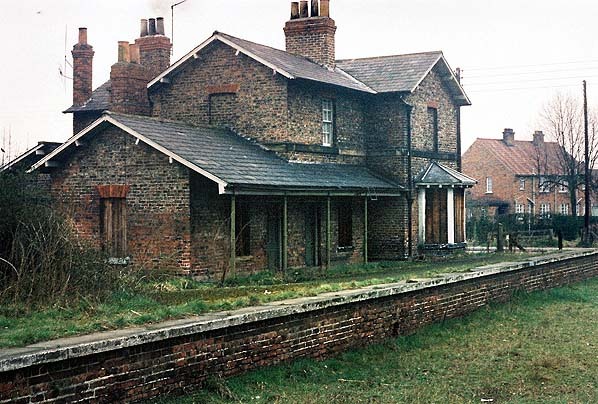 The main station building, which incorporated the stationmaster's house and booking office, was at the east end of the down platform adjacent to the level crossing and was a typical G T Andrews structure; it resembled that at Holtby, but was slightly larger. It comprised a two-storey 'T' shaped brick house, end-on to the platform, with a lower floor bay window overlooking the down platform. A single-storey brick extension housed the waiting room and toilets; the overhanging roof formed a short canopy supported on four iron pillars. There was another single storey extension to the rear. A timber waiting shelter, built to the standard NER design, was sited on the up platform. Access to the booking office was through a small portico with four stone pillars in front of the building, facing onto Church Road. 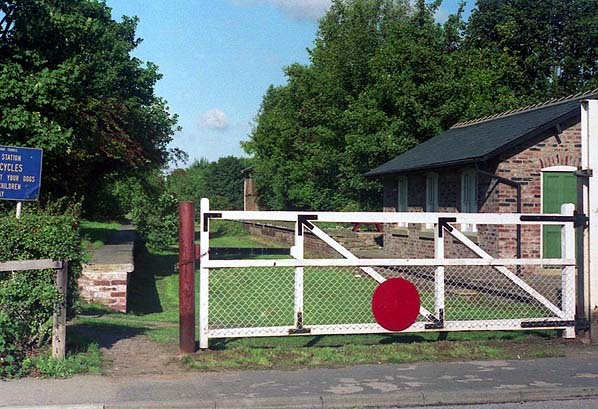 A crossing keeper's house was provided on the up side, east of the level crossing. A signal box was sited at the down side of the line, east of the level crossing. This controlled the crossing and access to the large goods yard west of the station and a crossover to the west of the River Derwent viaduct, for single line working when required. 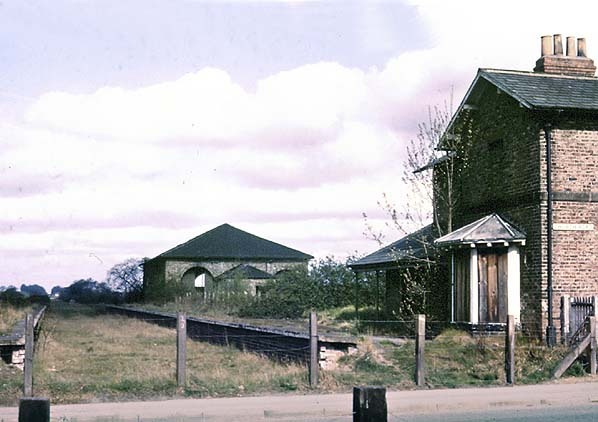 The goods yard comprised two sidings on the up side, one serving a cattle dock and the other running behind the up platform almost to Church Road. On the down side a third siding passed through a large brick goods shed that formed a wall at the back of the down platform; it continued behind the down platform, with a loop siding running back over the coal drops to the west of the goods shed. There was also a 1-ton crane and a wind pump at the west end of the up platform. In 1911 the population of the station’s catchment area was 1866. 12,468 tickets were sold that year making it one of the busier stations on the line. The main freight handled was potatoes with 849 tons, barley (715) and hay and clover (698), being dispatched. In 1913 145 wagons of livestock were loaded at the station. 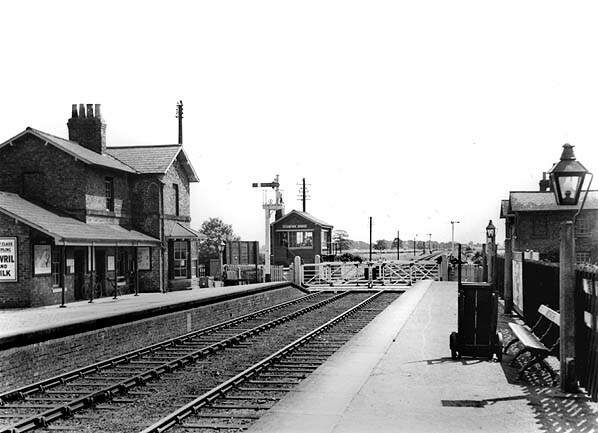 The station closed to goods traffic on 7th June 1965 but remained open to passenger traffic until closure of the line on 29th November 1965. The 1970 Ordnance Survey map shows the track through the down platform was still in situ, but this had been lifted by the summer of 1971. 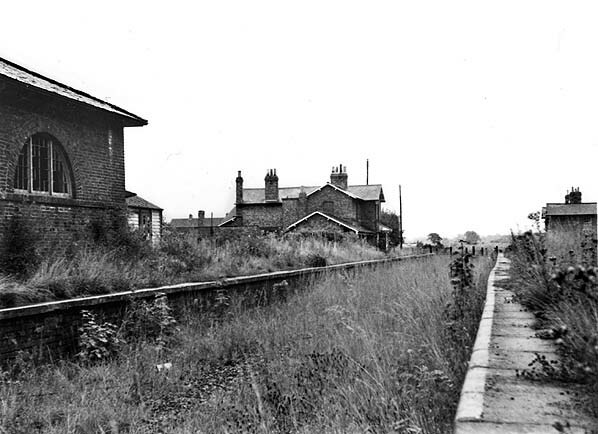 The crossing keeper’s house is shown as two railway cottages in 1971, but by 1982 these had gone and had replaced with a smaller house. At this date the main station building appears unaltered but it has now been extended at the rear. East Yorkshire’s only substantial viaduct, above the River Derwent, is to the west of the station. It has 15 brick arches and an elegant central 90ft. wrought-iron span. 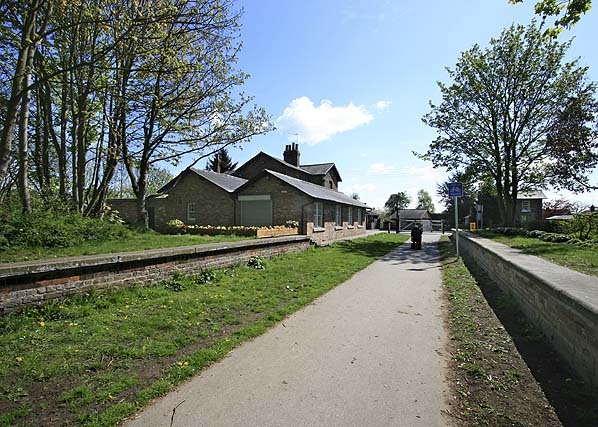 In 1991, at an estimated cost of £60,000, East Yorkshire Borough Council announced plans to demolish it but, thanks to a spirited campaign by rail enthusiasts and local people, it was reprieved, restored and is now incorporated within the Sustrans cycle network which follows the line from the A166 west of the viaduct to Church Road. 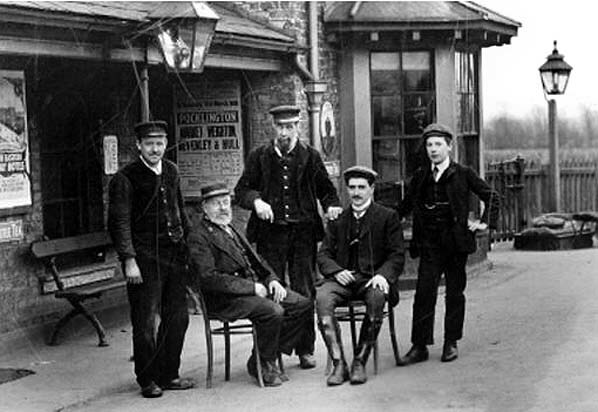 Stamford Bridge station staff in 1908. Stamford Bridge station looking south east c.1950s. Stamford Bridge station looking south east in August 1971. Stamford Bridge station looking north west in April 1976. Stamford Bridge’s main station building on the down platform in April 1977. Looking south east towards Stamford Bridge station and goods yard in November 2006. Stamford Bridge level crossing and station buildings, looking north west in May 2010. Stamford Bridge station looking south east in May 2010. The booking office has been substantially extended in length, and to the rear, and the platform in front of the building has been lowered.